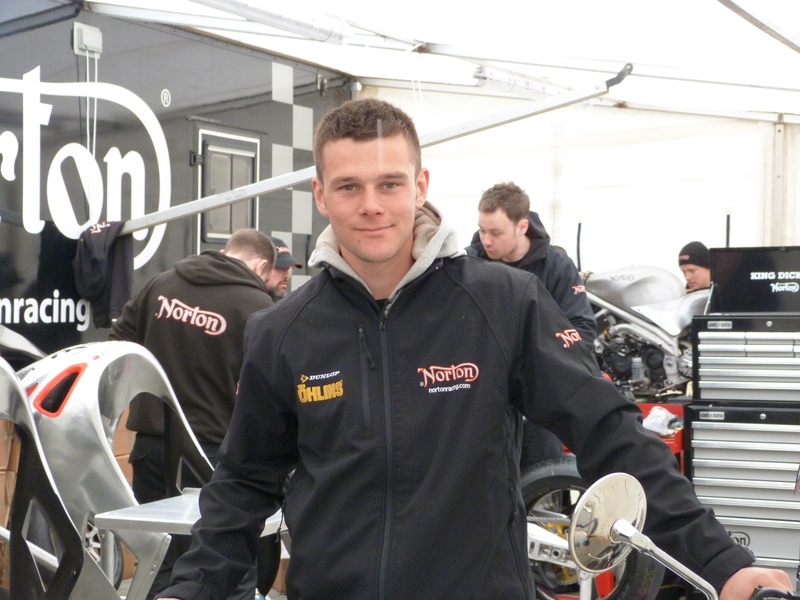 Dan Hegarty is looking forward greatly to competing on the Norton racing bike for this years superbike and senior TT races. Dan said about the Norton that he’s done 3 tests on the bike and that the bikes good and has the potential for a top 15 finish. It was in 2011 when Dan made his TT debut when competing on Suzuki and Kawasaki machinery in the superbike, supersport, superstock and senior TT races. For this years supersport TT races Dan is competing on a ZX6 Kawasaki backed by Crosslane Garage. Dan is aiming for a lap of over 121 mph in the supersport races. In 2012 Dan achieved a top 20 finish in the opening supersport TT race. Dan’s hoping for this years road racing season to take in the Ulster grand prix, Macau grand prix and the Scarborough gold cup. Dan has always being a fan of road racing at Oliver’s Mount, Scarborough having spectated many times before starting his racing career. It was at the Scarborough gold cup many years ago when watching riders like Ian Lougher, that Dan thought I can do this and since Dan has gone onto achieve top 10 results in the national superstock championship whilst also lapping at the TT at over 120 mph.